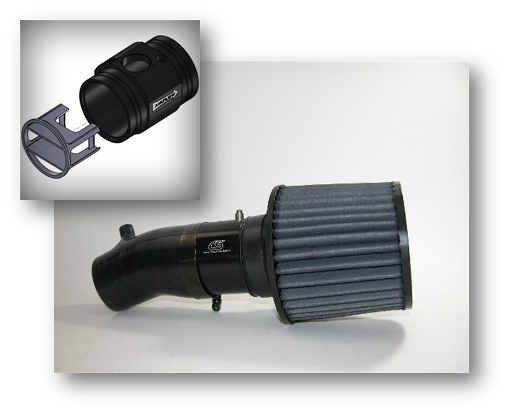 Give your 2004-2009 Mazda 3 immediate boosts in horsepower and torque by bringing more air into the intake chamber. Our simple to install SRI is MAF housing precision machined from billet aluminum with included air straightener. Designed to maintain optimal flow and generate ideal performance, CorkSport engineers each part with exacting tolerances and uses the latest in computer aided manufacturing techniques to make sure you get the highest quality, best performing part for your money. We have thoroughly tested this intake on both 2.0L and 2.3L engines. Great product, quick and easy to install! I just installed it today and when you stsrt up the engine for the first time it sounds so good! Lots of WOOOSH when you step on the accelerator! It does provide some power gains but they are fairly minimal (I'd say no more than 6hp) and they are mainly at the higher end of the revs(4000+). It wont make your car super fast on the street but it sounds awesome and provides better air flow to the engine. Quality product and easy to install. It makes the 2.0 engine sound a lot better and you definitely notice the increased response and power. You won't regret this purchase. I couldn't decide between this and the K&N typhoon cai for a long time but I'm so glad I went with the CS SRI. First impressions on unboxing and installation were that of production quality for sure. I felt confident in the materials used and installation was easy obviously. I felt a increase in power especially in the colder months and the sound is awesome. By far the thing I love the most about it is the increase in throttle response. 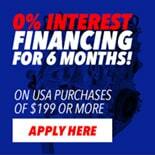 Main point this is an high quality affordable intake that performs great. Don't hesitate to get one!